Wiggle, waddle and walk like a penguin from ice float to ice float. 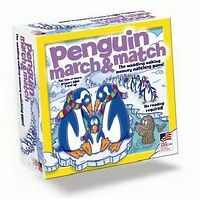 Collect a matching family of penguins, Dad, Mum, and Baby to win the game. But watch out for the nasty leopard. 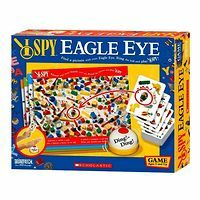 Use your eagle eye to spy the object on the game board that matches the object on your card. Be first to ring the bell and you win!